Blog Writing: Are These The Seven Most Important Aspects? Are These The Seven Most Important Aspects Of Your Blog Writing? 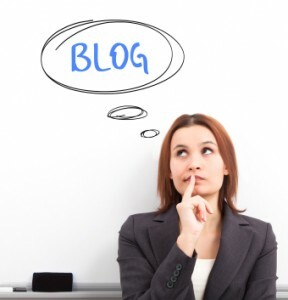 Why did you start your business blog? Were you seduced by the promise of lucrative benefits? Did you see it as an opportunity to position yourself as an authority in your niche? Perhaps you understood that one of the best ways to make a sale is by helping. Whatever your reason, if you want results from blogging you must hone your technique. If you don’t, you won’t attract visitors, you’ll feel like you’re wasting your time and eventually you’ll abandon your blog as a lost cause. The alternative is to ensure you’ve thought about these seven factors each time you publish. Your headline is the most read part of your blog. It’s the words a potential reader will use to decide if they’ll take a closer look. It’s your tactic for getting noticed in that accelerating Twitter timeline. It’s the detail that determines the extent to which influencers and followers will share and link back to your content. If your headline is dull, contains no real benefit and doesn’t incentivise your reader to click through, you’ve had it. Worse still, regardless of how good the actual post is, if the headline fails so will your hard work. A blog that doesn’t understand its target audience is doomed. What age, gender, occupation, lifestyle etc. What are your readers looking for? What problems are keeping them up at night? What social media channels do they use? What do they want to achieve? Once you have a reader avatar, you’ll be able to write your posts as if you are talking directly to that one person. Try it and see how it transforms your blogging power. They expect ideas, insights, inspiration, knowledge and possibly entertainment. And that means you have to write about the things that interest and matter to your audience. If you don’t, you’re wasting your time. So as well as getting really good at writing a blog. You have to get good at researching for your blog. Search social media platforms and discussion groups to get ideas about what your audience are struggling with. Google a keyword or phrase followed by “FAQ” or “top problems”. Delve into your comments to see what readers are saying (alternatively if your comments are slim, visit other blogs in your niche and see what readers are saying there). Ask your audience. You can use a blog post, or email subscribers for feedback or to request interviews. Read widely in and around your subject area to stay inspired. That’s books, blogs, magazines, news etc. It will help keep you sharp, relevant and current. Check out question sites like Quora.com for insightful questions which you could answer on your blog. Keep your ear close to the ground when networking and hone in on the questions and problems your peers are tackling. People will read your blog because of you. Be a shade braver. Don’t hide behind a faceless brand. Instead allow a little more of yourself to shine through. Whilst your blog should be designed to help your readers, it should also link into your overall content marketing strategy. Why are you writing this post? How will this post benefit your business? Will this post help grow your authority? Does it have the potential to entice shares? Will it help you learn more about your market? Does it help generate interest in your products and services? If your posts are random and lack strategy, you’ll confuse readers and end up with a messy, untidy, undirected blog that’s difficult to navigate. The best blogs are those that add significant value to readers whilst helping you grow and develop a successful business. What does yours do? One of the most exciting benefits of a business blog is it offers you the chance to engage in a 2-way conversation with your audience. So don’t perceive your blog as a one-directional marketing tool. The magic happens when readers get involved and take action and your job is to actively encourage it. Entice comments by asking questions and encouraging replies. Proudly display a selection of social share buttons and ask people to spread the word if they liked what they read. Boost your email subscribers by offering a tasty free download or other incentive. Then, when people make the effort to communicate with you, show engagement. Always reply to comments. Show appreciation on social media and add value to people who have subscribed to you by sending out additional (useful) content. An autoresponder is great for this. You can’t rely on simply publishing “great” content to get your blog noticed. Use Twitter to promote your posts. Tweet your link at intervals during the day to maximise exposure, and explore a different lead each time. Get connected. Build a network of supporters around you who will help promote your posts. It’s the quickest way to get more readers. Guest blog on relevant authoritative sites and use the opportunity to attract more readers back to your blog. Blogging is a super smart tool that micro business owners can use to create traction with their business. The only downside is it takes time, attention and a lot of hard work. But when you get it right – the results are well worth it. What do you think is most important when writing your blog? What aspects of your blog writing do you give the most attention to? Please let me know in the comments below. And if you’d like a hand getting your blog on track, simply click here. Great post as always Georgina, I would agree with all your points and add be passionate about what you write and only write what you beleive in, If you don’t believe in what you are saying or selling nor will anyone else. Thanks Georgina for sharing great tips for blog posting start up. Really, I am new to your blog and truly like these tips excessively.